*UPDATE: Mr. Turner’s body was found Friday in Jackson His body was sent to the state Medical Examiner’s Office but foul play is not suspected. 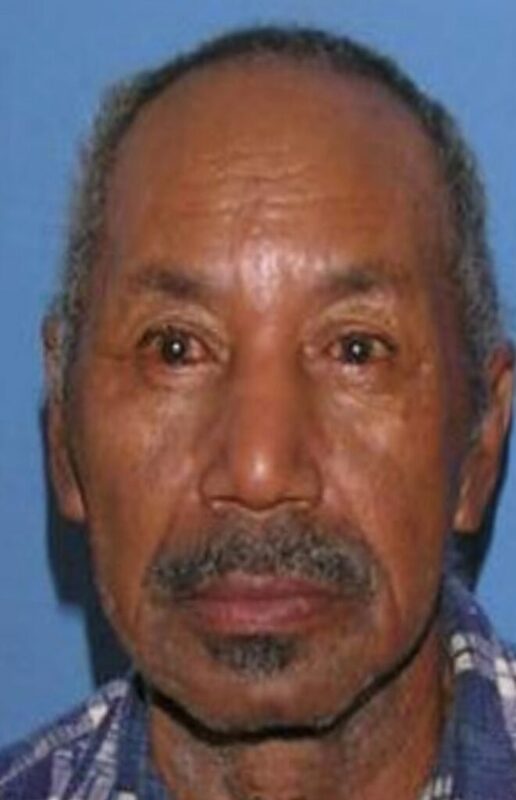 The Mississippi Bureau of Investigation has issued a Silver Alert for 72-year-old Elmer Pete Turner of Jackson in Hinds County. He is described as a black male, 5 foot, 7 inches tall, weighing 150 pounds with short-cropped salt and pepper hair and brown eyes. He has most recently been seen wearing a black hat, black pants, a red T-shirt and a camouflage jacket. He was last seen Tuesday, Dec. 4, at about 8:43 a.m. in the vicinity of 705 Verdemont Drive, Jackson in Hinds County. Family members say Turner suffers from a medical condition that may impair his judgment. If anyone has information regarding the whereabouts of Elmer Turner contact Jackson Police Department at 601-9601-1234.